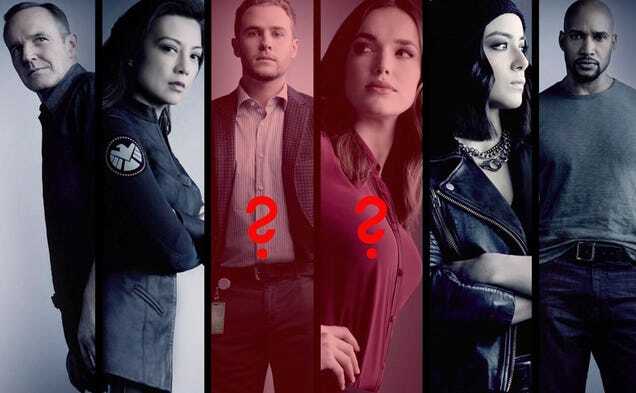 Continuing the recent tradition of ignoring Agents of SHIELD in Morning Spoilers, a little piece of news released yesterday flew under the radar. Spoilers for next week’s episode, “Self Control,” below. The SHIELD showrunner wrote and directed one of the most pivotal episodes of Season 4. ... there’s really no filter between the voice of this really wild episode that we’re shooting right now and us. It’s really kind of a pure conduit, which is great, because there’s some very radical stuff happening, so it’s great to be able to talk to him about it. Any guesses on the final arc for the season? IGN is teasing in an interview with the cast conducted during a set visit for “Self Control” that the last seven episodes of the season are being set up to pay off threads begun in the first season. Warning, this article contains light spoilers for the episode and definite teases for the rest of the season. So, what sort of bang will Season Four go out on? Gravitonium might just be making a return.